In 51 Years No Halftime Show Has Ever Shined Like This One! The Super Bowl halftime show has certainly come a long way in 51 years. The first 24 years provided entertainment primarily from high school and university marching bands. One exception was Super Bowl XXII, which featured Chubby Checker and 72 grand pianos! Super Bowl XI first introduced audience inter-action with the halftime show employing a card stunt. In 1991's Super Bowl XXV a dramatic change in the size and scale of the halftime show took place when New Kids on the Block performed, along with 2,000 local children. Over the years we have seen entertainers such as Gloria Estefan, Tony Bennett, Diana Ross, The Blues Brothers, ZZ Top and James Brown. Of course, Michael Jackson (XXVII, 1983). Olympic figure skaters, country singers and so many more have hit the stage to perform spectacular shows. Every year brings another surprise and this year was no exception. Next year presents a challenge to top the high-flying Lady Gaga! 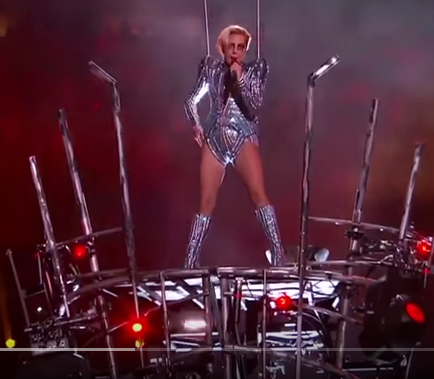 This year’s Super Bowl consisted of many surprises, from the acrobatic stunts of Lady Gaga to the amazing 25-point comeback by the New England Patriots. For VisiPak, a Sinclair & Rush Company, the greatest surprise came Monday morning after the game. As you might suspect, a show such as this often requires a bit of secrecy on the part of the event planners. VisiPak was unaware until Monday morning that all those glow torches you saw in the audience integrated a clear VisiPak tube. Just before the 5 minute mark of the show thousands of glow torches began waving in the air throughout the audience, thanks to Glow Motion Technologies! Glow Motion Technologies of Nashville, TN is a company with the capability of connecting emotion with technology. 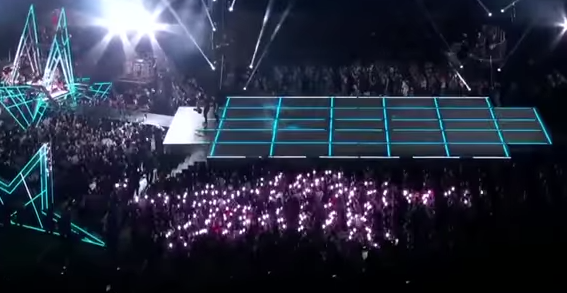 Their products bring a whole new light to entertainment, not only on the stage, but branching into the audience making the interaction truly fascinating! In a nonverbal moment their products touch your emotions. That produces impact! That is exactly what happened at the Super Bowl on Sunday. Glow Motion Technologies works fast. The system is compact and can be setup and working in minutes. In fact, the tubes and clear caps were ordered early in January and, because VisiPak stocks these items, they shipped the next day. The show date was February 5 giving Glow Motion Technologies just under a month to prepare for the big event! For more information on how it works, visit Glow Motion Technologies website. To learn how VisiPak can help provide a solution for your next project, visit our website or call us at 800-949-1141.